As a documentary wedding photographer, my main job is to ensure that I capture amazing moments. To do this I’m constantly observing and capturing those special moments in a way as not to encroach on them. The image depicted here taken at a wedding earlier this year remains one of my favourite images for a speech to date. 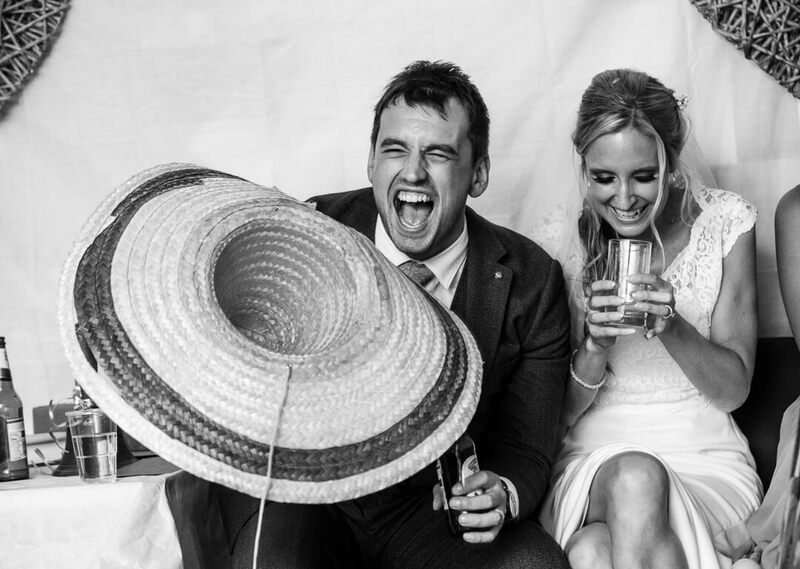 I love the way Adam and Sophie are just lost in a moment of sheer unbridled joy and laughter, whilst listening to the best man’s speech. This is why this image has made my photo of the week. The wedding speeches are just the perfect time to capture not only reactions of the bride and groom but also the family and guests. So as not to encroach into peoples personal space I often use a longer and more powerful lens. I watch and wait for the right moment and press the shutter. During the speeches, people are always, totally engrossed on what’s been said. Hence it’s a great opportunity to capture some cracking moments. They do say a picture contains a thousand words and for me, this photo, sums up the best man’s speeches perfectly. If you’d like to see more of my wedding images, just click through to my portfolio. You can also share many of my images on my Instagram page. To find out more about my services feel free to contact me to arrange free wedding consultation.